Since 2017, I’ve helped my clients transition to a well-balanced vegan diet and access the rich benefits of a plant based lifestyle. Curious about the benefits of a vegan diet? Thank you! I will be back in touch with you within 24 hours. Learn about my life transition and how I ditched my role as people-pleaser to pursue a happier life. Looking for tips and strategies to boost your health and happiness? Learn how to put yourself first this life! 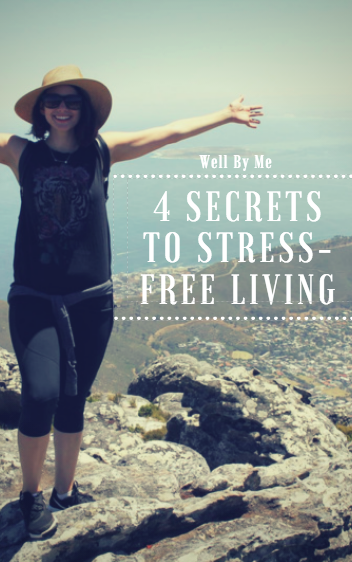 If you want to learn how to cope with everyday stress , sign up and Grab your FREE copy of Well By Me's 4 Secrets to Stress-Free Living. Sign Up + Get Your Free E-Book! Check out recent posts on vegan tips, recipes and wellness rituals! Sign Up to Receive Maranda's Newsletter!